Ever since Andrew and I started dating, I've been dying to go to the Carlsbad Flower Fields while they're in bloom. But in over three years of frequent trips to Carlsbad, I still hadn't been able to visit! I think it was a combination of timing (they're in peak bloom mid-April through mid-May) and the fact that Andrew grew up literally next door and wasn't ecstatic about paying to see a bunch of flowers. 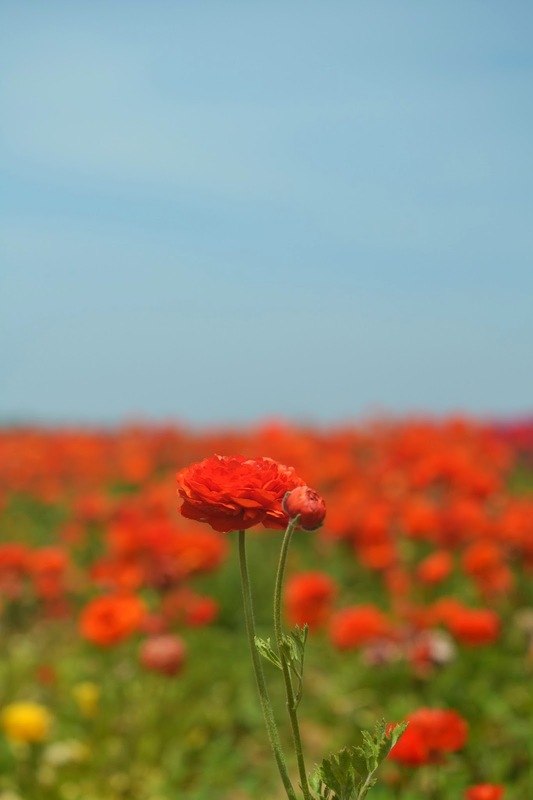 However, this trip happen to fall right in the peak of the ranunculus blooming and I wasn't about to miss out. Thankfully, we had some down time on Saturday morning and I was able to squeeze in a visit before we needed to leave for the Giants v. Padres game. But of course, I forgot my camera charger, and had a dead battery. After a few hours racing around town to find a charger (batteries aren't sold with a charge so that wouldn't have helped), we were off to the flower fields! 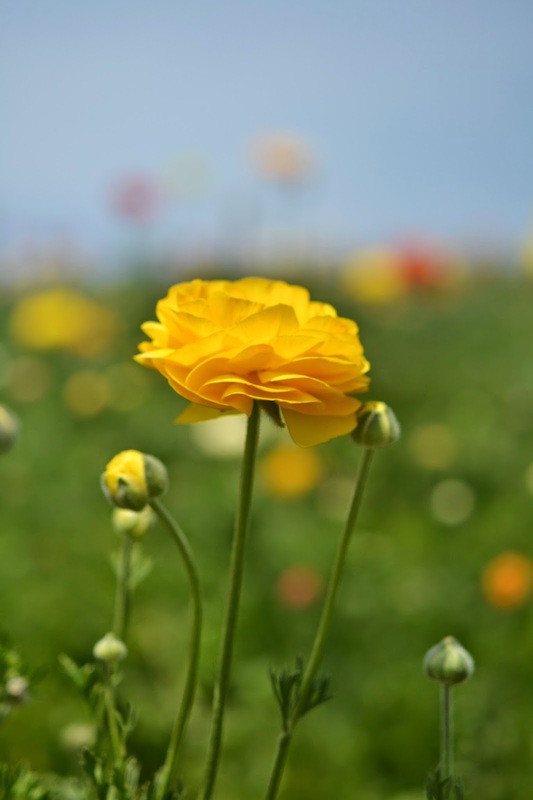 Ranunculus are one of my most favorite flowers, and seeing acres of them all blooming at once was so beautiful. I only wish my mom could have gone with me. I know she would have appreciated it as much as I did, and enjoyed walking around the grounds and seeing all the various colors. I could have walked around for hours taking pictures. But even in just an hour we spent there, I got some incredible pictures. Its amazing how much joy I get out of taking pictures, my camera is the best investment I've Andrew has ever made! My Dad had let me borrow is Macro lens, which I knew would be perfect for capturing the flowers. I was so excited to use it, and hopefully get a few shots I could frame for all my home updates! Thankfully, I got more than a few pictures I was happy with. And I'll definitely be investing in a new lens! Here are some of my favorite shots from the day. I think I took over 200 pictures...get ready for flower overload! 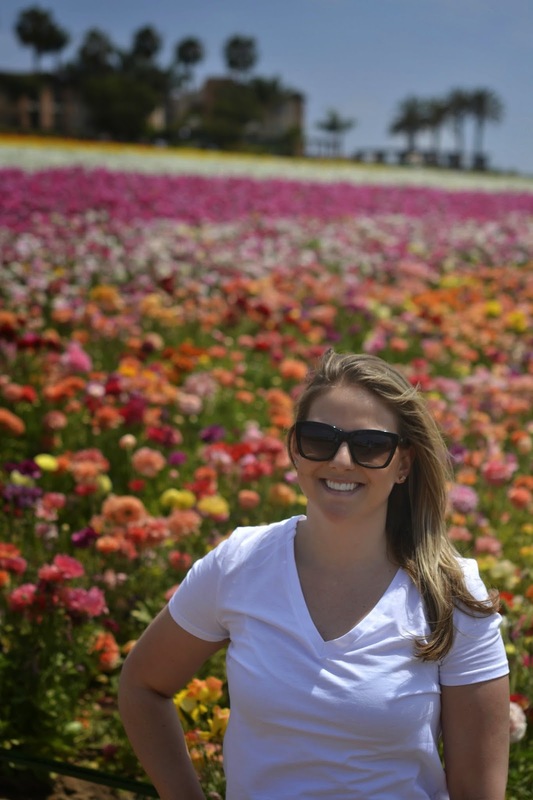 If you're ever in the San Diego area mid-April to mid-May I highly recommend a trip to the Carlsbad Flower Fields. 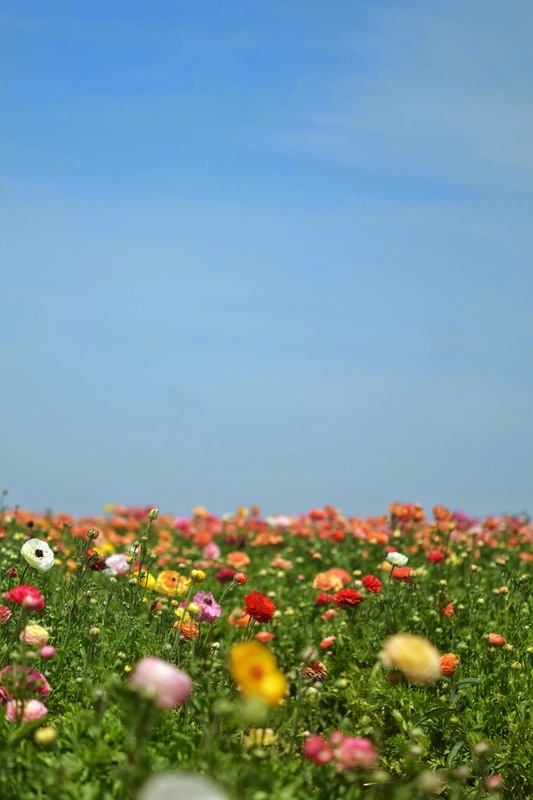 It's a $12 entry fee and they offer tractor rides, food, vendors, and acres of breathtaking flowers! You can visit their Facebook page here for more information. Wow! Oh man that is gorgeous. I want to go now! ohh! we have tulip fileds like this in the Portland area that everyone loves to go check out! Oh my goodness, those are so gorgeous!! SO beautiful!! These pictures are amazing girl! Maybe I'll drag Sam next month to go down there and see it. I saw those one time when I was riding with Lisa and family on a trip to San Diego. You take absolutely gorgeous pics!! I can definitely see why you would want some for your walls at home. I probably would spend all day there if I could!!! !